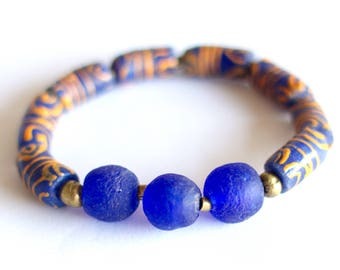 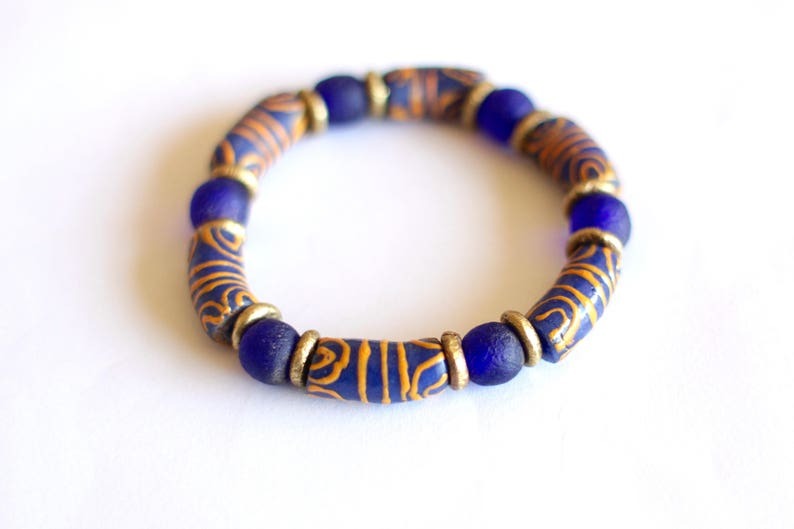 This bracelet is composed of blue Ghanaian recycled glass beads with blue/orange Krobo beads. 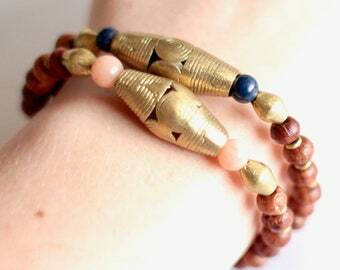 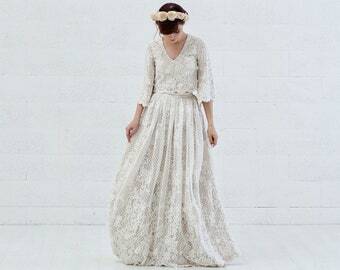 They are separated by Ethiopian brass rings. 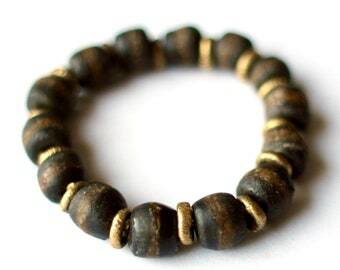 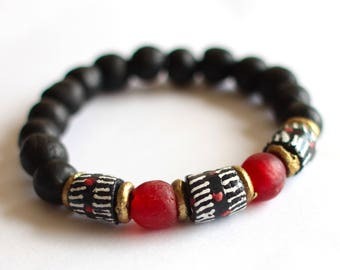 This is a stretch bracelet and fits most wrists. 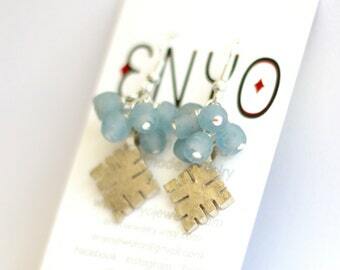 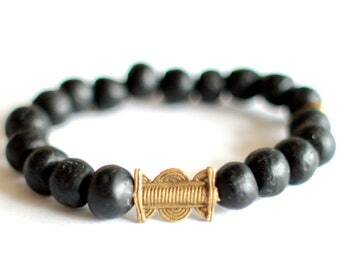 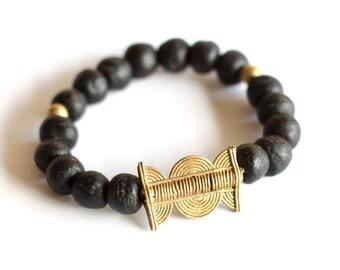 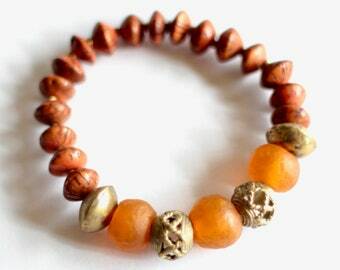 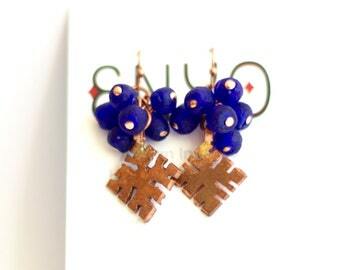 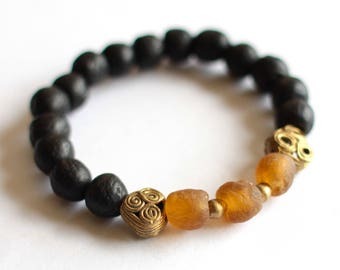 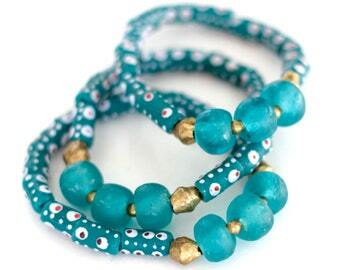 Krobo beads have been carefully handcrafted by artisans in Ghana using recycled glass. 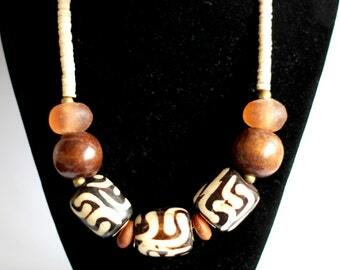 The glass has been crushed into powder glass, then handpainted after making the beads.